Hyman has been consistently named to the New York Super Lawyers list, a Thomson Reuters lawyer rating service, since 2008. Hyman Kindler represents prominent real estate owners, developers and lenders in sophisticated real estate transactions in New York City and throughout the country. Hyman represents purchasers, sellers and developers in the acquisition, development and financing of office, residential and retail properties throughout the US. He has extensive experience representing sellers and purchasers of transferable development rights (air rights) in New York City, including the assemblage of multiple zoning lot parcels as development sites. 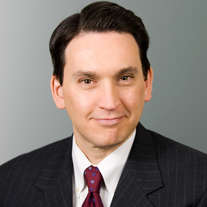 Hyman is a partner of the firm and has been recognized by Super Lawyers. He has been named to the Transferable Development Rights Advisory Committee of the Furman Center For Real Estate and Urban Policy of NYU Law School. Represented Kaufman Organization in the sale, by a joint venture of Invesco and Kaufman, of 100-104 Fifth Avenue to an affiliate of Clarion for $230 million. Kaufman, along with Invesco, purchased the building in December 2010 for $93.5 million. Represents the joint venture of Property Markets Group and Madison Equities in the acquisition of the assemblage for a new 18-story tower in the West Village on Sullivan Street. Represented a joint venture of the Kaufman Organization and affiliates of Lubert Adler Management, in the purchase of an 11-story, 115,000-square-foot office building at 27 West 24th Street, located between Broadway and Avenue of the Americas, in an all-cash transaction valued at $55,500,000. The closing occurred within 30 days of the contract signing and included a first mortgage with Signature Bank. See Crain’s New York Business, GlobeSt.com, Real Estate Weekly and New York Law Journal for press reports. Represented sellers and developers in the transfer of air rights in connection with the construction of the following condominiums: Vesta 24 Condominium (24th Street and 10th Avenue), The Urban Glass House Condominium (330 Spring Street), Park Avenue Place Condominium (55th Street and Park Avenue), 425 Fifth Avenue Condominium (38th Street and 5th Avenue), Crossing 23rd Condominium (Gramercy-Flatiron District), Jade Condominium (Chelsea), Impala Condominium (76th Street and First Avenue), and The Porter House Condominium (Meatpacking District). Lead real estate attorney on $620 million public merger involving Lone Star Steakhouse & Saloon, Inc., a NASDAQ-listed operator of 250+ casual and upscale restaurants. Represented joint venture of Boston Properties and Madison Equities for the office building assemblage on Manhattan's 8th Avenue, consisting of nine lots, two air rights parcels and three different sellers for more than $200 million. Drafted complex Declaration of Easements, Obligations and Restrictions governing Impala Condominium. Represented seller of Independence Plaza North, a Mitchell-Lama apartment complex in New York City for $156 million. Represented purchaser in acquisition and financing of warehouse space in Bergen County, New Jersey. Represented REIT in nationwide acquisition and sale of shopping centers. Represented owner of 652-662 Sixth Avenue (f/k/a The Limelight) in allocation of air rights.